Just when we thought Rihanna's track record of historical cover moments couldn't peak further (her British Vogue number still sends shivers down on our spines in the best way possible), she currently shines brighter than ever within the glossy pages of Allure's October issue. Demonstrating maximalist makeup at it's finest—a soul-reviving trend that ran rampant during NYFW—we've immediately fallen for the singer's eye-opening dose of aquamarine liner, lustrously shining lips, and oh yeah, all that diamond-like glitter. In what feels like an appropriate departure (after all, Rihanna is every bit the antithesis to traditional), Allure decided to cover their cover star in an entirely unique way. Instead of holding the expected interview, the magazine acknowledged just how much the singer has accomplished within the beauty industry in addition to the steadfast impact she's had in the lives of women all over the world—race, gender, age, and background be damned. 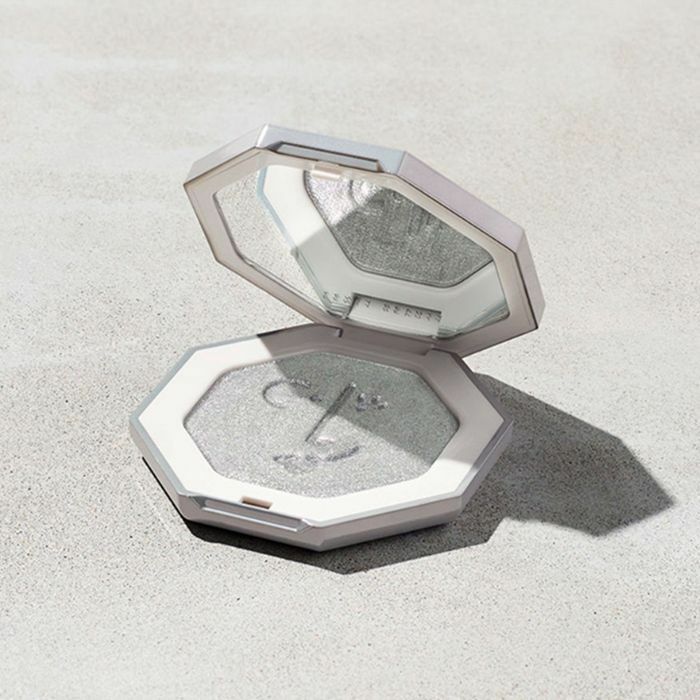 Enter "To Rihanna, With Love," a heartfelt stamp of recognition and admiration for the longtime singer and still new-ish makeup mogul who has so swiftly challenged exclusive, age-old branding protocol and simultaneously inspired women from all over the globe to be their baddest, most beautiful selves. The result: five stunningly penned open letters dedicated to RiRi from a handful of her biggest fans. 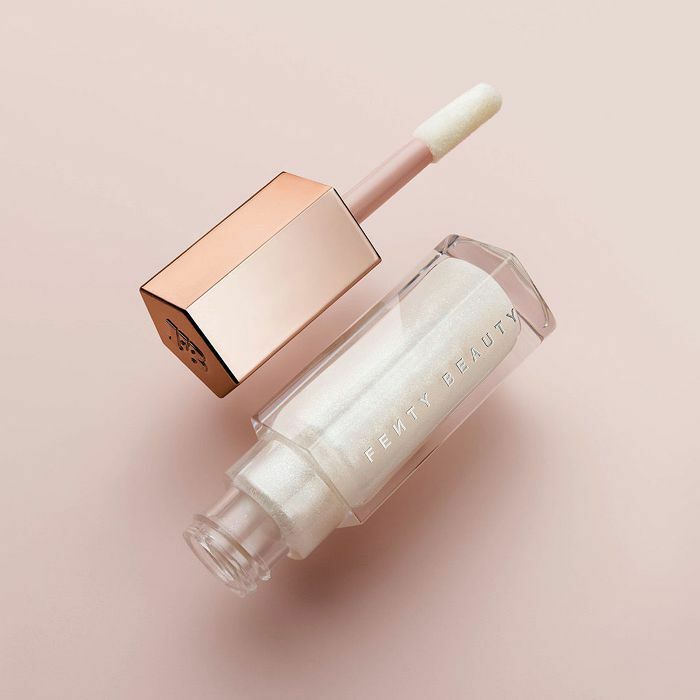 For all of the feels, we recommend heading to Allure to experience the feature in its entirety, but in the interim, we've roundup up the necessary makeup products from each of the spread's stunning beauty looks. Keep scrolling and prepare to feast your eyes. 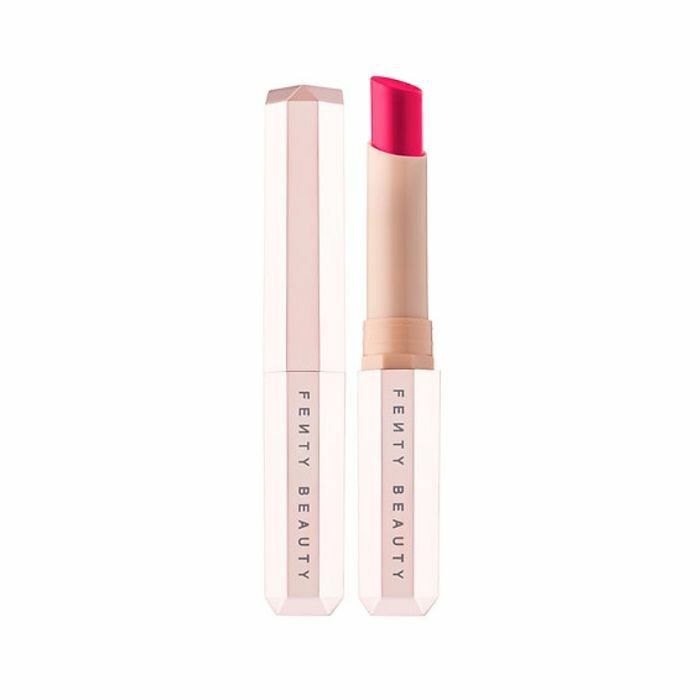 To achieve a subtly rosy yet sun-kissed glow, celebrity makeup artist Priscilla Ono used this trademark favorite from Fenty Beauty on the apples of RiRi's cheeks. 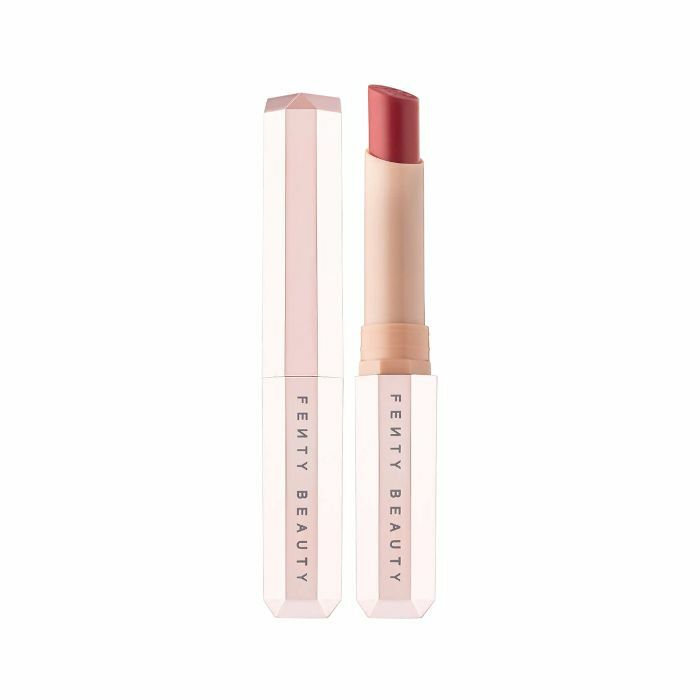 To channel the singer's elevated neutral lip, reach for Ono's pick: Fenty Beauty Mattemoiselle Plush Matte Lipstick in Spanked ($18), obviously. For a peachier vibe, this magenta-pink favorite, aptly coined Candy Venom, was used on Rihanna's pout. So pretty against her molten chrome eyelids, no? We're trying hard not to play favorites, but what's better than seeing Rihanna dripping in diamond dust? Nothing. The shining (brand-new!) 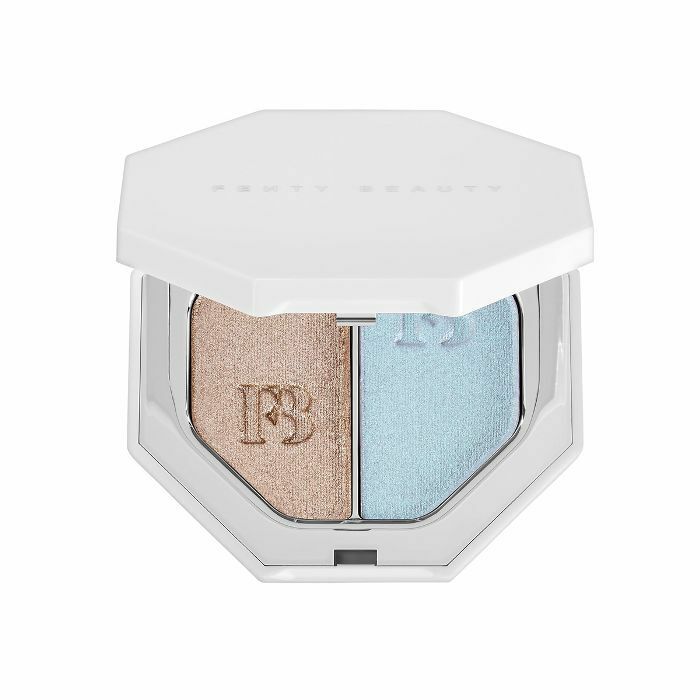 product culprit: Fenty Beauty's Diamond Bomb Allover Diamond Veil ($38). 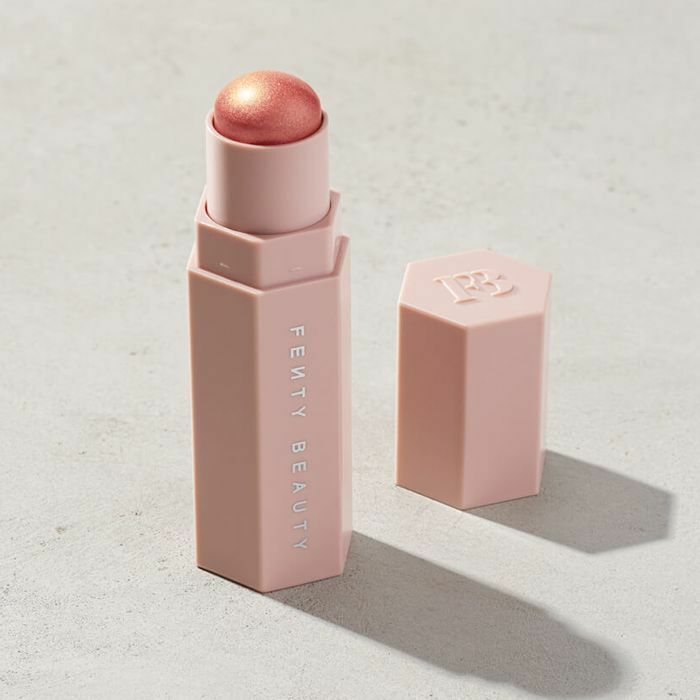 For that celestial milky lip, the cover star wore Fenty Beauty Gloss Bomb Universal Lip Luminizer in Diamond Milk ($18). 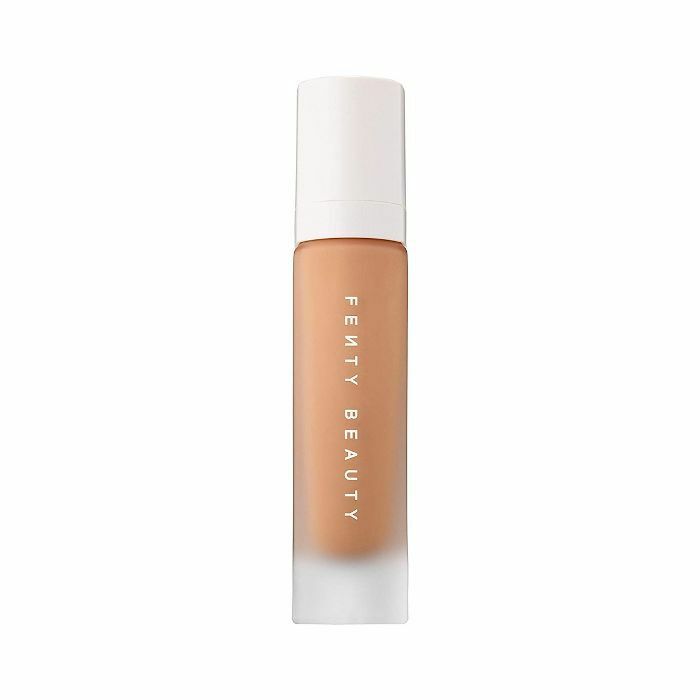 To create the perfect base for all of the spellbinding looks, Ono applied Fenty Beauty's Pro Filt'r Soft Matte Longwear Foundation in 330 ($34). It's already become a cult favorite. 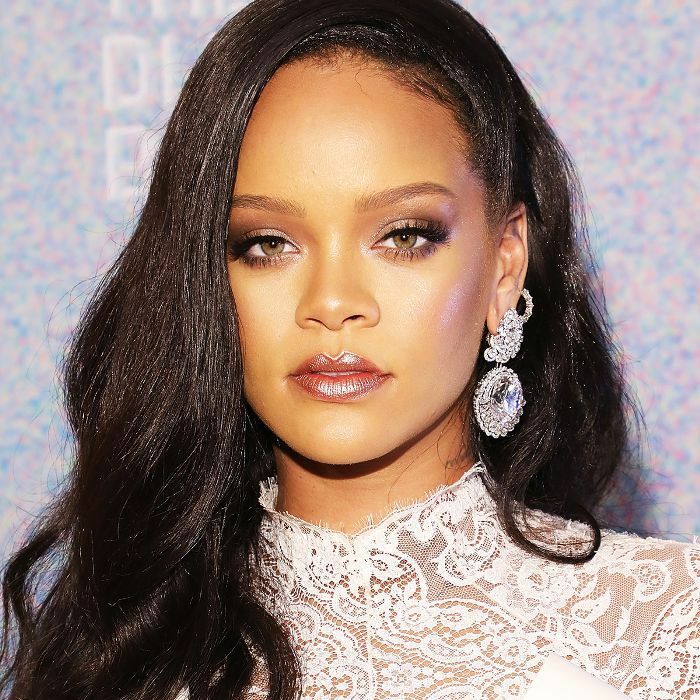 If you're like us, we know you're obsessing over Rihanna's chrome-laden lids. 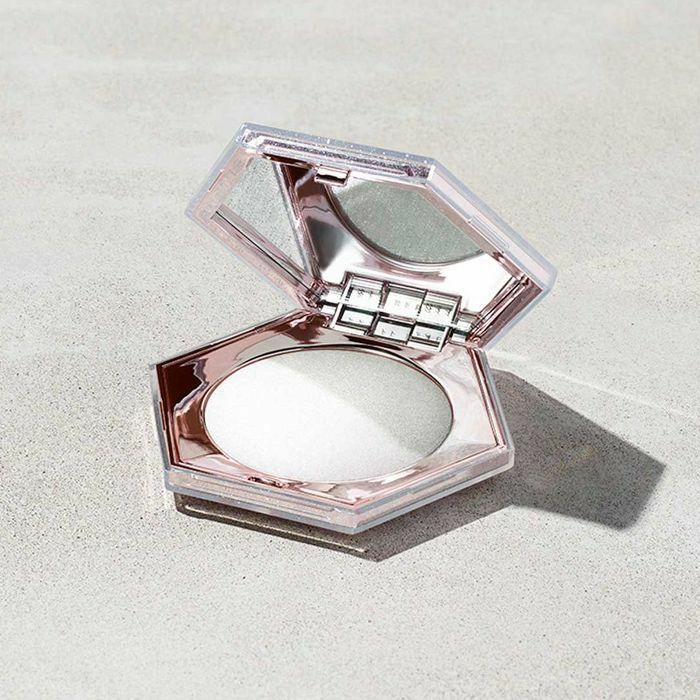 To put you out of your product-lusting misery, the gorgeous molten finish comes courtesy of the brand's Killawatt Freestyle Highlighter (CLF Edition) in Diamond Ball-Out ($34). Last but not least, the sparkling duo that still has us hankering for summer and our forever mojito habit.